ST. MIRREN FANS have voted a six-year old academy player, currently undergoing treatment for cancer, as their Player of the Year. Aaron Woodall is currently undergoing four courses of chemotherapy having already undergone radiotherapy and an operation last year to remove a brain tumour. The youngster who is part of the club’s junior academy team was a mascot for their game against Motherwell in December, just hours after being released from hospital following his operation. 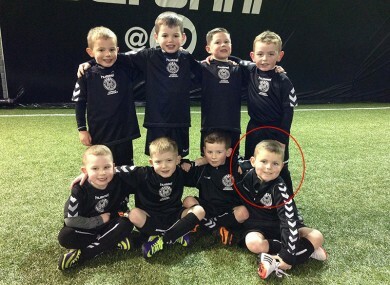 Email “Scottish fans vote 6-year old with cancer as their Player of the Year”. Feedback on “Scottish fans vote 6-year old with cancer as their Player of the Year”.